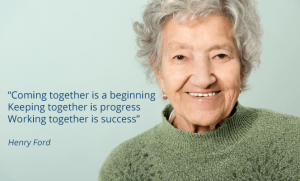 The aim of Care Plus Homecare Services Ltd is to provide a Care Team to an individual in their own home and to assist and support individuals and organisations in promoting health and maintaining or improving independence. We aim to provide a focused value for money service that is reliable and responsive to your needs and preferences. Care Plus Homecare Services Ltd aims to foster an atmosphere of care and support which both enables and encourages individual’s to live as full, interesting and independent a lifestyle as possible. The Management Team at Care Plus can be reached 24 hours a day, 7 days a week, and 365 days a year by using the office telephone number 01625 522 504. You can find our full details on our contact Care Plus Ltd page. Find out what Care Plus can do for you. Call us today on 01625 522504 or click the button below to arrange a callback from our team.